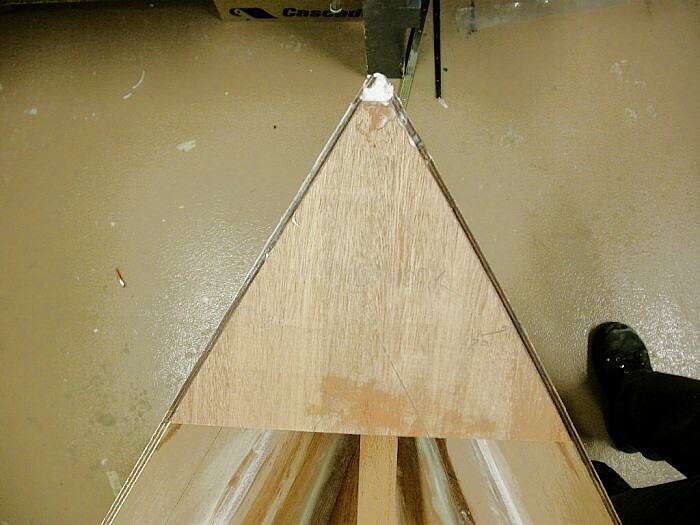 Next was the breast hook (bow triangular peice) and side beams. 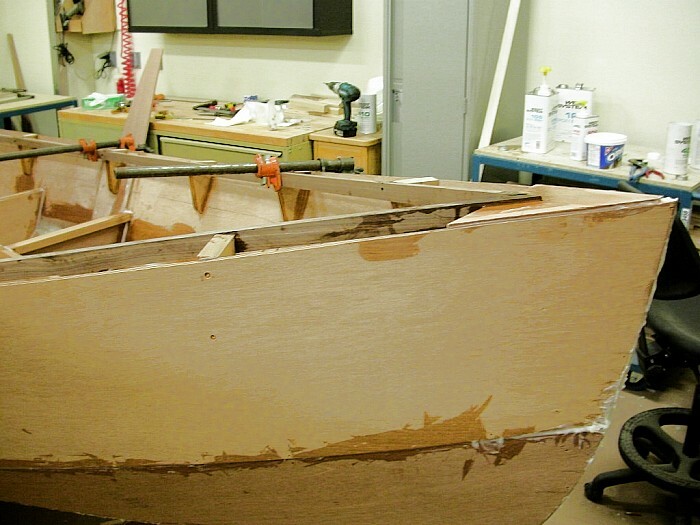 Before the biaxial tape was put on the boat was still pretty floppy...but after it was solid as a rock! 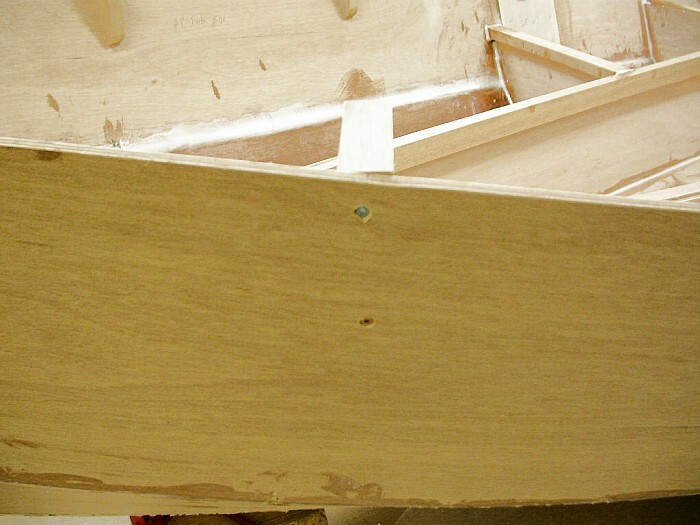 The breast hook also added a lot of rigidity. 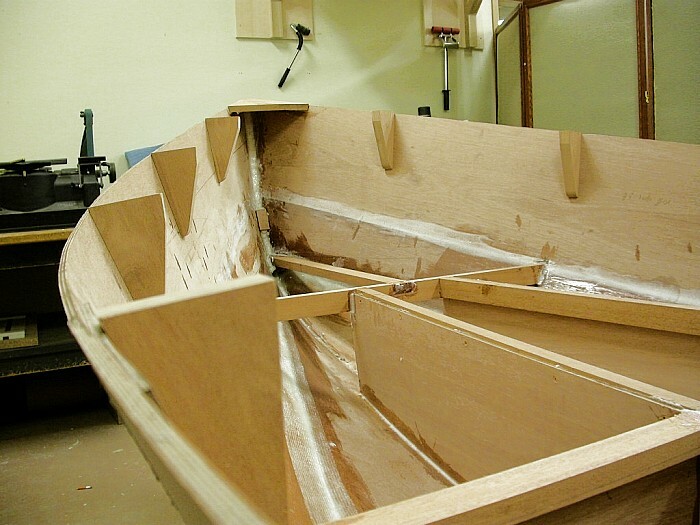 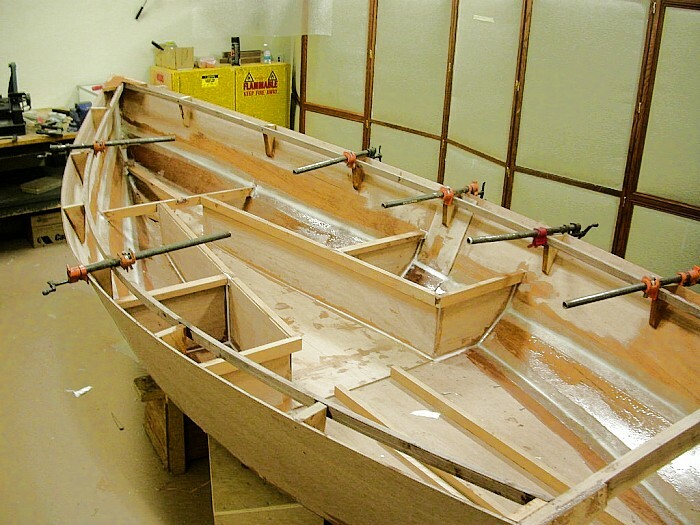 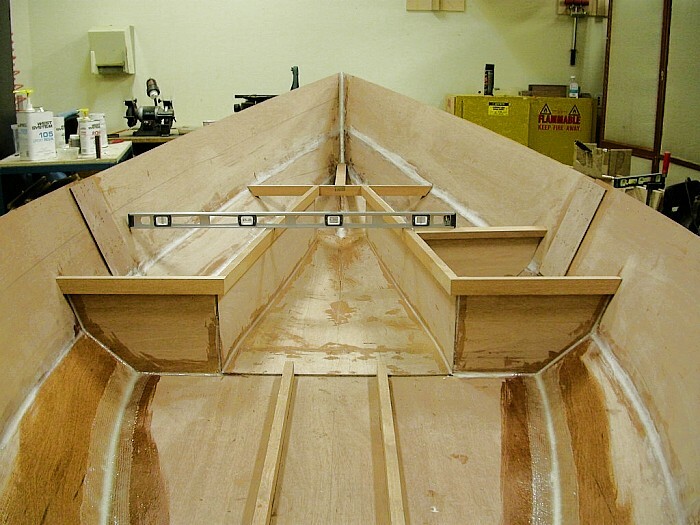 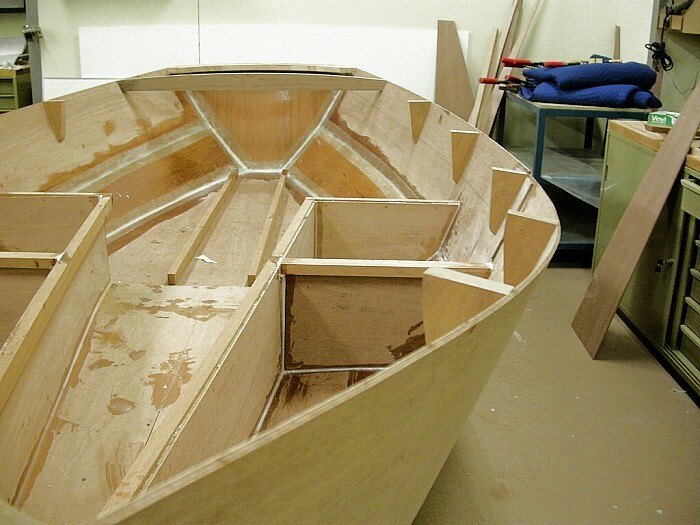 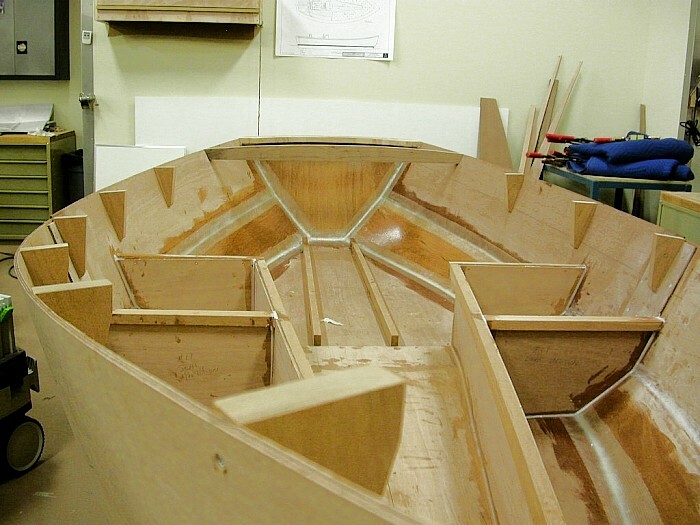 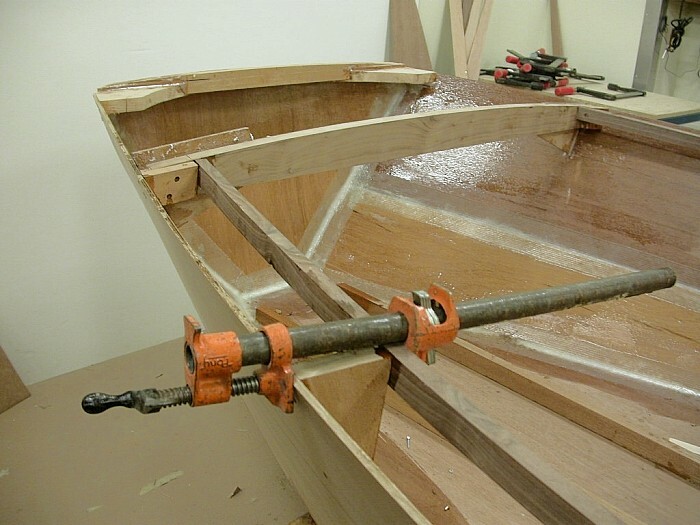 The side beams were glued and screwed and are ready for the carlings which in turn will be the time to flip the boat over and fiberglass the bottom.